The ability to find a stable and efficient stain remover that is affordable can be quite the task. Some may be great for pet stains, others may be great for food stains, but there never seems to be one that works great on everything. Whether it’s coffee, tomato sauce, wine, or chocolate, there are so many types of stains common in any house, especially if you have little ones. It can be a struggle to keep everyone’s clothes stain free and get to new stains before they sit for far too long to be saved. Plus, some stain removers are just too harsh and can end up really doing more harm in the long run. With all the chemicals in them, it can be hard to say exactly what they could do to clothing and even sensitive skin. If you are tired of wasting money on stain removers that don’t work, try this simple three-ingredient recipe that will change your life. Not only does it only take three ingredients to make, it’s cheap, effective, gentle, and safe. 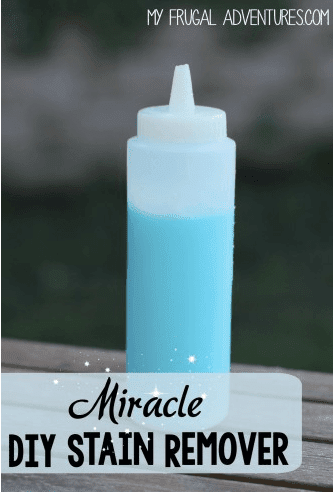 Thanks to blogger and mother of two, Charlene at My Frugal Adventures, for sharing her recipe for the best DIY stain remover. Unless it’s a green grass stain, she says, it’s extremely difficult to tell what type of stain is on clothing, or what her kids may bring home. As she tried out all the homemade recipes she could get her hands on, her years of research have finally paid off with this all-in-one stain remover. 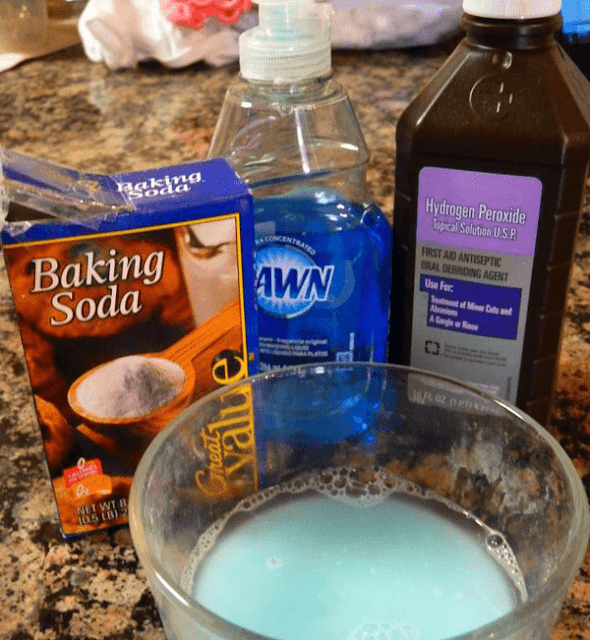 Even better, this recipe doesn’t take a lot of time to make, as there are only three ingredients: blue Dawn dish soap, hydrogen peroxide, and baking soda. Another great attribute to this recipe is that you really only need to mix exactly how much you need for each particular stain. So, for example, Charlene said for eight different items with stains, she only needed to mix together one tablespoon of each of the ingredients. However, you can make a large portion at once to keep on hand for emergency situations, in which case Charlene says purchasing a squeeze bottle from any dollar store will come in handy. After Charlene makes as much stain remover as she needs for each load of laundry, she simply rubs a little onto the stain using the back of a spoon before letting it sit for at least an hour. If you leave the stain remover for longer than a few hours, it could turn the clothes blue, so you must be cautious. Charlene says a few hours are perfect even for white clothing, and it managed to get rid of the worst unknown spots. 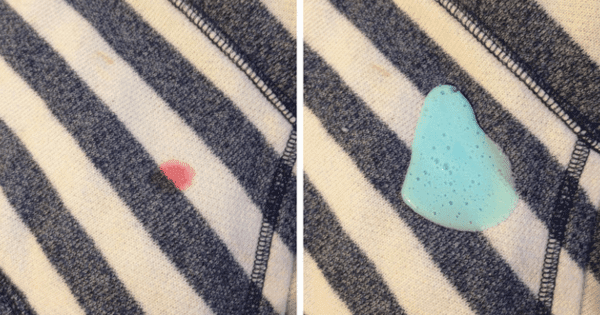 She did say that some stained items did not completely disappear with her DIY remover, but she repeated the process, seeing significant results every time. However, the only thing she has come across that it did not work on was paint stains that weren’t quickly treated. With such a simple recipe, you can get started right now!